young business people 10 years or less into their professional career for mentoring, education, networking, and socializing. Are you a career-oriented individual wanting to foster community leadership through networking and professional development? ​fostering community leadership through networking and professional development." The Chico Chamber YPO creates awareness of the positive attributes young professionals bring to their employer and the community as a whole by valuing commitment, ambition, civic engagement, integrity, respect and camaraderie in a welcoming atmosphere. contribute to the growth of our vibrant community and make an impact. ​Not sure if you're a Chico Chamber Member? Check our directory here. ​Learn more by following YPO on Facebook. Want to receive YPO event reminders and updates? Click here. Want to get involved with YPO? Contact Heather Ugie, Engagement & Marketing Manager HERE. Gain access to YPO by becoming a Chico Chamber Member today! What is driving our Chico ChamberYPO? North State YPO Summit Coming In 2020! A 2020 North State YPO Summit is in the planning stages! Michael and Kathryn Redman are co-founders of Half a Bubble Out Marketing, and creators of HaBO Village, a membership website that helps leaders build Passion & Provision® companies full of profit and joy. For more than 17 years they’ve helped business leaders locally, nationally and internationally grow their companies through traditional and digital marketing, business coaching, and leadership development, making millions of dollars for their clients across industries such as property management, medical, agriculture, and various non-profits. Michael and Kathryn also founded an international e-commerce company in the pet industry that has grown 3X a year since 2014; taught a master’s class in marketing at Simpson University; are 4-time Telly Award winners for video and television commercial production; and their agency is a Certified Partner of The ASK Method, Digital Marketer and HubSpot. When it comes to your business- whether you find yourself leading a team, managing employees, or running the company- there are 2 essential jobs that you will need to master: Empowering and Protecting those in your care. YPO Leadership Luncheon - "Things Rarely Go as Planned"
​YPO Leadership Luncheon, "Building Business for Good"
​ "Intelligence, Energy and Integrity"
Born and raised in Chico, California, Jaci Phelps is dedicated to the development and success of our community. 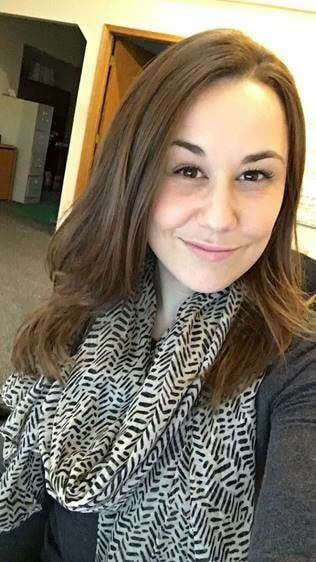 After graduating from Pleasant Valley High School, she went on to get her Bachelor’s degree in Recreation Administration with a focus in Hotel and Lodging Management. Although she’s worked at a variety of hotels during her schooling, she found her niche at Golden Valley Bank pursuing a passion for marketing. Since she started in 2016, she’s lead and organized multiple volunteer opportunities for the Bank and sits on the board as Vice President for CSU, Chico Young Alumni Network. Fueling her love for health and fitness, you can often find Jaci spending her free time working out at In Motion Fitness. She also loves to travel and has a passion for all things Disney. Kelly Gibbons is a licensed Farmers Insurance Agent at Brad Jacobson’s Agency, where they are a father daughter team. Their agency protects families and individuals by offering all personal lines such as home, renters, auto, life, as well as commercial policies. They believe in giving back to the community and once a week Kelly volunteers at a local elementary school tutoring students in their after school program called Reading Pals. They are also involved in the March of Dimes golf fundraiser and the Jesus Center's Run for Food. Kelly is a Butte county local and, after graduating from Paradise High, she went on to graduate from CSU, Chico with her Bachelors in Business Administration. While going to school she worked for WaMu and worked her way through the conversion to Chase, as well as working her way up from a teller to a personal banker. In her free time Kelly enjoys being outside, hiking Upper Park, spending time at Lake Almanor and hanging out with her friends, husband and German Shepherd, Sophie. My full name is actually Evangelina Campanero, I chose to shorten it to Angiie when I started college. Angiie joined Stoner and Associates in August of 2013. She grew up in Chico and graduated from Chico High School and attended Butte College. She is the receptionist and go-to office person for any task large or small. Angiie is fluent in Spanish, including reading & writing. In her spare time Angiie likes to enjoy short distance races, long walks with her dogs, spending time with family & friends, cooking and crafting. She is outgoing and loves to make others laugh or smile. Lindsay is Director of Business Development at Videomaker, Inc.. After attending Chico State, a communications degree in hand, she decided to try a new adventure and relocated to Seattle; where she grew her professional work experience in sales and marketing at Nordstrom, L’Oréal Cosmetics, Amazon and Microsoft. The pull of California, her particular love of Chico and the tight nit service first community were too much to resist and returned in 2016. Lindsay's recent community involvement projects include helping to raise awareness for Wags and Whiskers Pet Rescue, Chico Rotary Club and OMPT. Kyle Fales is a Commercial Banker with Golden Valley Bank. He supports local development and business growth by offering commercial and personal loan solutions. Kyle has a broad understanding of local industry needs, including: Commercial Real Estate loans, Construction loans, Commercial and Industrial loans and Consumer mortgages. Kyle grew up in Durham and graduated from Chico State with a BA in Business Administration with an option in Finance in 2015. While attending Chico State, Kyle served as the Fundraising Director for a coed business fraternity, Phi Chi Theta, and ran track. In his free time he enjoys being active and travelling. Rikki Latta is a Recruiter at Build.com. After graduating in 2015 with her BA in Psychology from Chico State, she joined Build.com's sales team. She quickly moved into the recruiting team where she has lived for the past 3 years recruiting all levels and departments throughout the organization. One of her passion projects is the Build Gives Back program where she is heavily involved in promoting and participating in the events. Originally from the Central Valley area, Chico has become her second home the past 6 years. In her free time, you can find her hiking Upper Park with her 2 golden retrievers, drinking coffee at Beatnik's or traveling on another adventure. Elizabeth Sampson is currently an Implementation Specialist at Allevity Employer Solutions. Her focus is on client relations and the seamless onboarding of new clients. This closely relates to Elizabeth’s background in customer service, an industry she has been in for over seven years. One of her favorite aspects of her position is the ability to be a dedicated & trusted resource for her clients; Allevity’s mission to serve supports her own personal passion for customer service and building partnerships. After graduating from Arizona State University with a degree in Interdisciplinary studies, Elizabeth joined A10 Networks where she started out in the Finance Department as an Administrative Assistant to the CFO. An opportunity was presented for Elizabeth to take on a new role on within the company as the Talent Acquisition Coordinator for Staffing and Recruiting, and she embraced the experience. In September of 2017, Elizabeth moved back to Chico, California to be closer to her childhood home in Orland. With the intention of making Chico her future home, Elizabeth joined the Chico Chamber’s Young Professional Organization in order to delve deeper in her community, build relationships with other professionals, and give back to the society that raised her. Danie is not a native to the Chico area, but that does not stop her love and excitement for our city and businesses. After graduating from CSU, Chico in 2009 she decided to stay and start working in the community. After years of working hard, Danie started her own business, Danie Schwartz Consulting, a creative and strategic marketing firm, specializing in visual storytelling, copy writing, social media, and marketing strategies. Danie has been a YPO Committed Leader for the past seven years, Serving as president in 2017 and winning the Young Professional of the Year Award in 2014. One trait that defines Danie and defines her role in the community is her passion for the community and the Chico Chamber of Commerce. Danie finds her passion through her participation and dedication to local organizations and non-profits. She spent approx. 6 years on the marketing committee for the Boys & Girls Club of the North Valley before moving on to serve on the marketing committee for the Torres Shelter. Danie also spends her time on the California State University, Chico Alumni Association board. Next application period: July-September 2019.